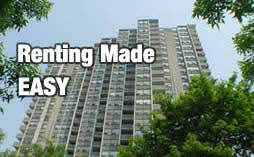 :: Hot Leads :: Landlord rental services! Renters Hotline has so many ways to generate HOT LEADS for your rental availability! Our new Just Listed service will allow you to search thru thousands of rentals wanted ads until you find one that matches your rental availability. Each one of these rentals wanted ad postings is a Hot Lead! Also, our 24 hour Hotline allows you to collect caller ID information from every caller that calls the hotline and hears information on your rental listings! You can see exactly how many callers called each of your rental listings, the callers name, number and how many times they called your listings. These are also Hot Leads! So many leads, you wont know what to do with all of them!